Featuring an open tubular teardrop design, butterfly backing for pierced ears and a silver plated metal finish this earring set by Adorne is the perfect accompaniment for your next bridal shower event or cocktail party function. 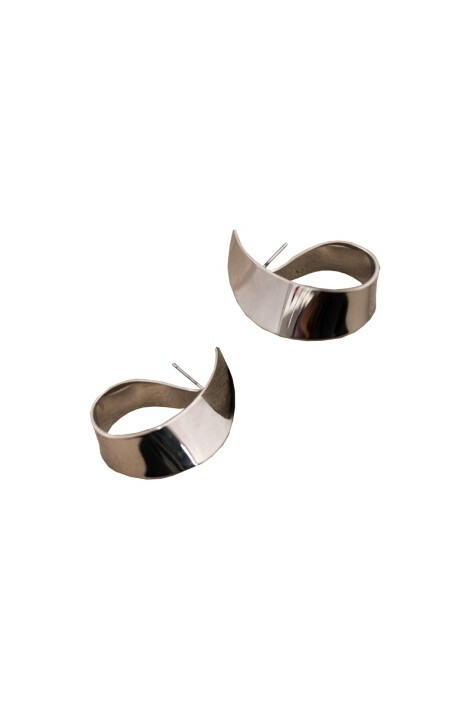 Simply sophisticated, the beautiful silver curl stud is a great option for that edgy minimalistic look. Team your earrings with a striking ruffled maxi or floral wrap midi dress available to rent for the perfect simplistic look. For an effortless glam look, add to your look with a semi up-do and glossed lip. Feel complete with a pair of slender silver heels and a silver mesh clutch available to hire. For more tips read our blog post ‘Our Favourite Summer Trend – Off The Shoulder’.